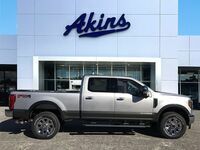 Best-in-class power and best-in-class capability has made its way to Akins Ford near Atlanta, GA, in the form of the 2019 Ford F-250 Super Duty lineup. That’s right, the new Ford F-250 Super Duty lineup once again offers best-in-class features and capabilities where they count the most for those who depend on their truck day in and day out. 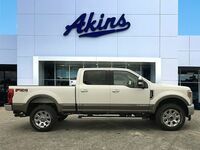 Combine that best-in-class power and best-in-class capability with the 2019 F-250 Super Duty lineup’s lighter yet stronger new high-strength military-grade aluminum alloy body and its more durable and robust new high-strength steel frame and chassis, and you’ve got a heavy-duty pickup truck that will be the hardest worker on any jobsite. 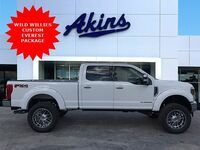 The 2019 Ford F-250 Super Duty lineup at Akins Ford near Atlanta, GA, features six trim levels to choose from – the 2019 Ford F-250 Super Duty XL, the 2019 Ford F-250 Super Duty XLT, the 2019 Ford F-250 Super Duty Lariat, the 2019 Ford F-250 Super Duty King Ranch, the 2019 Ford F-250 Super Duty Platinum, and the 2019 Ford F-250 Super Duty Limited. 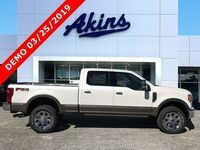 The standard engine for all 2019 Ford F-250 Super Duty trim levels except the 2019 F-250 Super Duty Limited is a 6.2-liter SOHC 2-Valve Flex-Fuel V8 engine featuring 385 horsepower and a class-leading 430 pound-feet of torque. 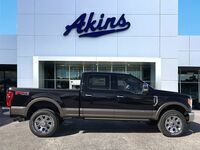 The 2019 F-250 Super Duty Limited features a standard 6.7-liter Power Stroke Turbo Diesel V8 engine offering a class-leading 450 horsepower and a class-leading 935 pound-feet of torque. This engine is also available for the rest of the lineup. 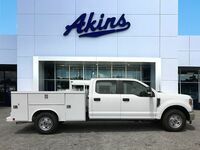 Thanks to these engines, the 2019 Ford F-250 Super Duty lineup can tow up to a best-in-class 21,000 pounds conventionally, up to a best-in-class 35,000 pounds with a gooseneck trailer, and up to 27,500 pounds with a fifth-wheel. The 2019 F-250 Super Duty lineup can also haul up to a best-in-class 7,640 pounds. 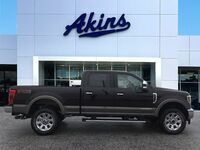 If you’d like to learn more about the 2019 Ford F-250 Super Duty lineup, please contact our staff here at Akins Ford near Atlanta, GA.